Human rights defenders of the Papuan Tabernacle Church (KINGMI Papua) have reported that police forces of the district police carried out raids in Nabire, the capitol city of Nabire Regency. 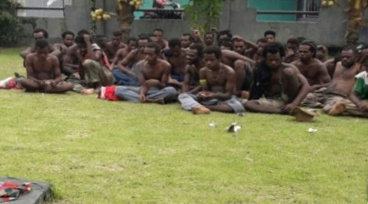 The raids took place on the 29 June 2017 in the so-called 'Karang Barat' complex, which is mainly inhabited by indigenous Papuans. Police forces used tear gas and water cannons against the residents. The reason for the raid remains currently unclear. In the second quarter of 2017, the number of torture and ill-treatment cases has significantly increased while the cases of extra-judicial killings have dropped in comparison to the previous quarter of 2017. While the months January to April 2017 were comparatively quiet in terms of political arrests, activists and human rights defenders reported at least 321 political arrests during the second quarter of 2017, which mainly occurred in May. One can observe a greater variety of violations during the reporting period covering also violations against human rights defenders, political arrests and violations of the right to health. The strategy to criminalize peaceful political activists with treason charges continues to be commonly applied by law enforcement agencies in West Papua. The violations during this reporting period were equally committed by members of police and military units. At least four cases with the involvement of police officers were brought to the attention of police-internal investigation body PROPAM between April and June. 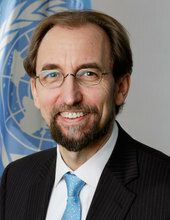 In his opening statement to the 35th session of the UN Human Rights Council, Zeid Ra'ad Al Hussain, UN High Commissioner for Human Rights criticized many countries' lack of true commitment in perceiving and using UN human rights mechanisms as valuable tools in the achievement of real human rights improvements. In this regard, he emphasized the limitation of access, including non-cooperation and selective cooperation with human rights mechanisms and his office. 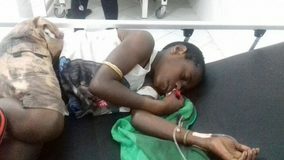 Four police officer have allegedly tortured a 15-year-old boy named Alberth Nawipa on 16 June 2017 at Potikelek Market in Wamena, Jayawijaya Regency. According to local human rights defenders, the officers hit Alberth Nawipa with bare hands, wooden and rubber batons on the head, back and stomach. Subsequently the officers forced him to clean up the police post at Potikelek Market. The police had arrested Alberth because he had allegedly thrown a rock at the Potikelek police post.bill. Public prosecutors have demanded a sentence of six months imprisonment and one year probation against Obby Kogoya during the recent court session on 19 June 2017. 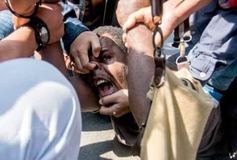 The Papuan student was arrested during a peaceful assembly of Papuan students in support of United Liberation Movement for West Papua (ULMWP) at the Papuan student dormitory in Yogyakarta on 15 July 2016. He has been charged with articles 212, 213 and 351/ 2 of the Indonesian penal code (KUHP) and is currently undergoing trial at the Yogyakarta District Court. The articles refer to the criminal offense of violence against law enforcement officers. The spokesperson of Yogyakarta regional police, Mrs. Anny Pudjiastuti, claimed that Obby Kogoya had injured a police officer with an arrow.